Canadian Prime Minister Justin Trudeau earlier admitted that he intends on signing the hugely controversial Trans-Pacific Partnership (TPP). The news sent shockwaves across Canada and even amongst Liberal supporters. Now, Canadian media outlets are attempting to quell Canadian outrage. For months, the Liberal government has been denying that they even hold a position on the controversial TPP. They told Canadians that they have yet to decide on whether or not they intend on signing the TPP. The story was that the Canadian government needed to consult with Canadians first before making a decision on the TPP. That story has completely unraveled after Trudeau admitted to what we’ve long suspected: that the Canadian government intends on signing off on the agreement. The reason the government will sign on the agreement, Trudeau said, was that if he didn’t sign off on the agreement, then Canada would, in fact, be saying “no” to the agreement before consultations could take place. However, provisions in the TPP make ratification a legal obligation upon signing within one or two years (depending on the provisions). There has been a lot of political calculus involved in the governments position. Many Canadians are under the impression that the TPP was simply a Stephen Harper thing. While the then Conservative party leader merely participated in the agreement, many Canadians blame Harper for being in the TPP mess. Meanwhile, the Liberal party has been trying to sell itself as something different and, well, not Harper. Even after the Liberal election win, the party has been trying to brand itself as a marked policy shift from Conservative rule – that includes the TPP as far as many Canadians are concerned. Any move to line up behind the TPP would be politically devastating from the Liberal perspective because many would start seeing Trudeau as merely being Harper 2.0 for basically following in his policy footsteps. Now that Trudeau has admitted he intends on signing off on the agreement, the political damage was being felt quickly. Canadians expressed outrage that Trudeau would agree to sign off on the agreement. While the Liberal government tried to sell the idea that they are still deciding what to do with the agreement, Canadians merely correctly saw this move as the moment Trudeau officially sold Canada out to the TPP. The federal government has confirmed that it intends to sign the controversial Trans-Pacific Partnership trade deal at a meeting next week in New Zealand. But when it comes to ratification of the 12-country treaty, the Liberals are still perched squarely atop the fence. “Just as it is too soon to endorse the TPP, it is also too soon to close the door,” International Trade Minister Chrystia Freeland wrote Monday in an open letter posted on her department’s website. While it may be true that signing technically doesn’t mean ratification, signing this agreement means that you have a legally binding time limit to ratify the agreement. It seems that Canadians on that article weren’t buying it. “Of course it will be ratified, Liberals and cons are one in the same and will sell you out in a second for an extra dollar” writes rocnrule. “I made up my mind. 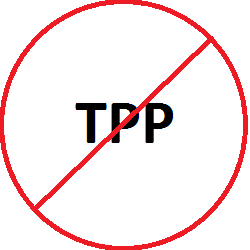 The TTP is NOT good for Canada.” wrote rick700. “At present, this is not a good deal for Canada as there are far more negative than positives for the people of Canada.” Rogie05 commented. Ms. Freeland released a statement Monday playing down the importance of Canada signing the Pacific Rim accord text in New Zealand next week and assuring Canadians the Liberals remain on the fence more than 2 1/2 months after taking power. “Signing does not equal ratifying. Only a majority vote in our Parliament can allow the agreement to take force. Signing is simply a technical step in the process, allowing the … text to be tabled in Parliament for consideration and debate before any final decision is made,” Ms. Freeland said in a statement. “This deal should neither be signed nor ratified. It gives corporations far too much power to sue, thereby limiting our sovereignty. ” wrote said Rightontheleft. “Does anyone seriously believe this hasn’t already been decided?” Questioned Agnostic. “you’re the government we hired to clean up Harper’s messes, and the TPP mess was very very near the top of that list.” said Zadok the Priest. OTTAWA – The federal government has confirmed that it intends to sign the controversial Trans-Pacific Partnership trade deal at a meeting next week in New Zealand. But International Trade Minister Chrystia Freeland said Monday that signing the 12-country treaty doesn’t necessarily mean Canada will ultimately ratify it. “Just as it is too soon to endorse the TPP, it is also too soon to close the door,” Freeland wrote in an open letter posted on her department’s website. Global didn’t allow comments on that article. Only a majority vote in the House of Commons would ensure that Canada seals the deal, she added. She has also requested a thorough, transparent study of the agreement by parliamentary committee. The comments were more or less the same story. One part of good news in all of this is the fact that, at the very least, this brings a fresh amount of attention back to the TPP. Only the odd article elsewhere here and there was being published before, but now, there are well over 100 articles talking about the trade “deal”. It remains to be seen how successful this round of damage control will be from the media, but for the time being, it seems some Canadians are finally growing suspicious.